Himachal Pradesh: Indian Institute of Technology (IIT), Mandi is inviting applications for the recruitment of Project Associate (JRF) under Dr Tushar Jain (PI). 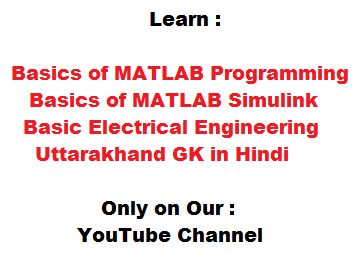 The candidate will have to develop MATLAB codes and do simulation in MATLAB Simulink for linear and non-linear power electronic systems. How To Apply: Candidate interested to apply in Project Recruitment 2018 need to submit application form through email to 'tushar@iitmandi.ac.in'. Please write 'Application for Project Associate (JRF) 2018' in subject line of the email. Important Dates: Candidate interested to apply for Project Recruitment 2018 of IIT Mandi need to remember following dates. Important Links: Candidate interested to apply for Project Recruitment 2018 of IIT Mandi can go through following links for official information.